It is indeed true that our world is connected more than ever before. With a greater amount of roads and highways being built each year, the strain upon businesses is considerable. Transporting goods and services from place to place is indeed a challenge that needs to be taken seriously; in no small part due to the fact that businesses will often require diesel and unleaded petrol to be delivered quickly and reliably. We fully appreciate this demand and therefore, we pride ourselves in our ability to accommodate enterprises throughout the midlands and the west of Ireland for well over 20 years. 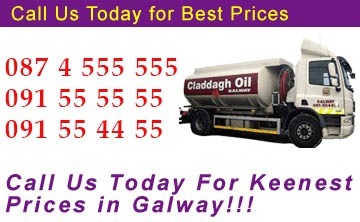 So, what are the advantages of a bespoke fuel delivery service? It is obviously not entirely economical for a business to rely on its drivers to supply a fleet of vans or lorries with diesel or unleaded petrol. From a logistical standpoint, this is much better achieved through the use of a third party such as ourselves. The on-demand capabilities that we provide have enabled our customers to be guaranteed that their vehicles will be supplied with a steady flow of fuel as their operations demand. By relegating this task to ourselves, the business can therefore focus their efforts back into core operations. One of the issues that arises when a company does not outsource their fuel services is that it is more likely than not that prices per litre will be much higher. As we are wholesale suppliers of petrol and road diesel, our prices are quite competitive and will allow a company to place any revenue saved back into their ongoing operations. In a world that has witnessed a nearly unprecedented rise in fuel prices during recent times, this advantage cannot be overstated. The delivery of fuel must be carried out only under the most stringent of conditions. In-house operators may not be fully aware of all of the regulations behind this industry. Thankfully, our professional team of drivers, suppliers and technicians is constantly kept abreast of all of the safety protocols that are necessary for safe operation. We take the safety of our customers quite seriously and with such an uncompromising standpoint, quality assurance is all but guaranteed. As we continue to expand our client base, so are we facing the ever-challenging logistical considerations of the fuel and oil supply industry. Nonetheless, we are committed to retaining the homegrown Irish values that have allowed us to thrive for well over 20 years. These are some of the key reasons why customers continue to use ourselves for all of their unleaded petrol and road diesel needs. For further information, please feel free to give us a call at 091 55 55 55.